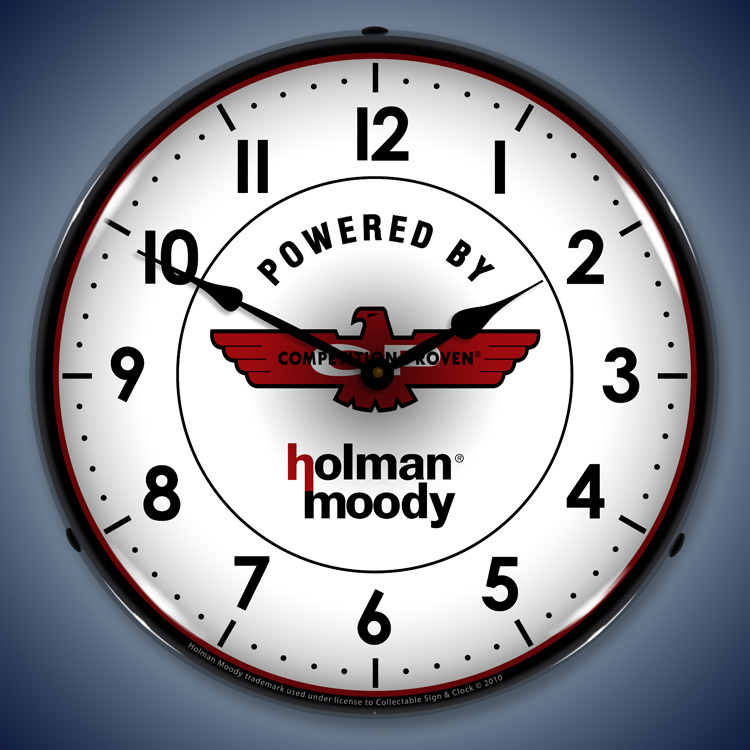 Powered by Holman Moody. 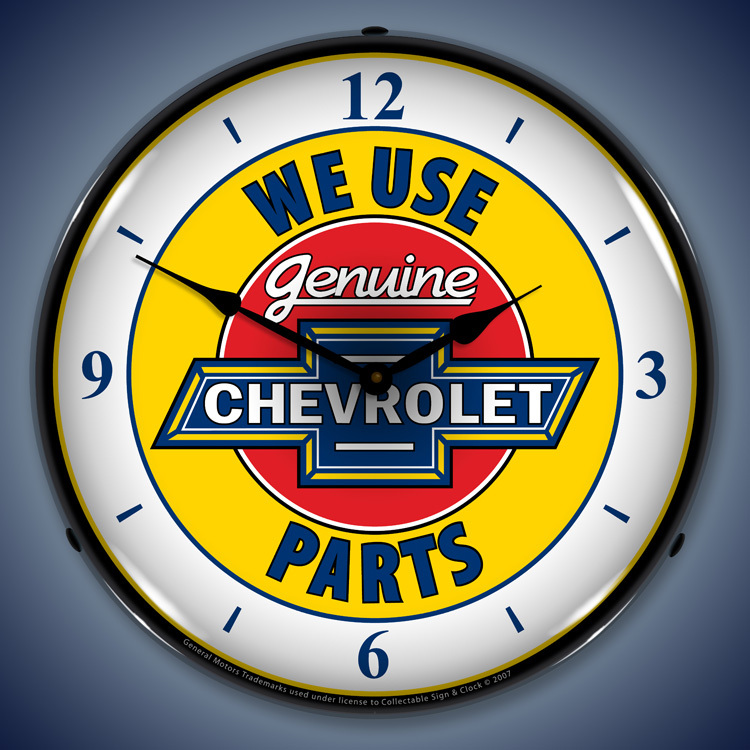 Words to drool by. 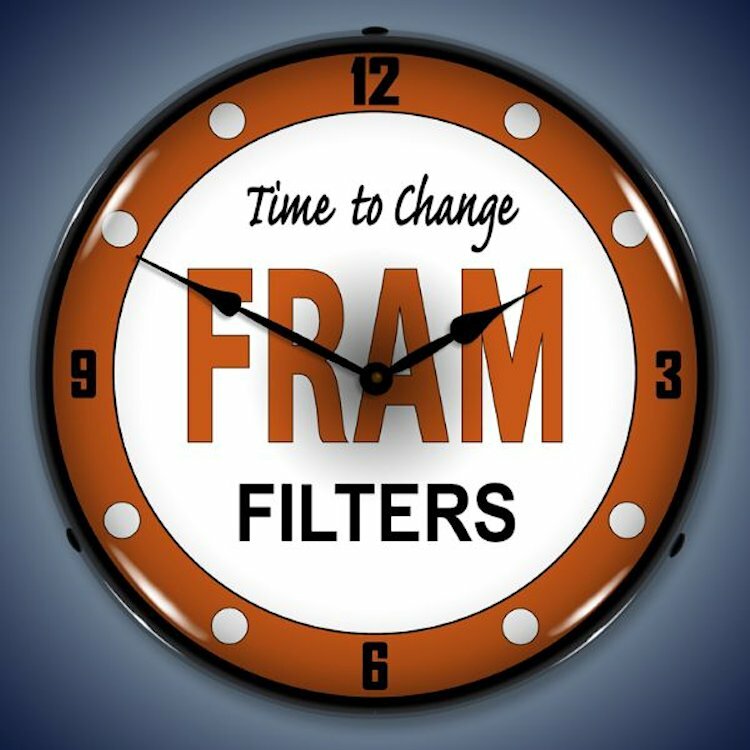 Fram Filters. 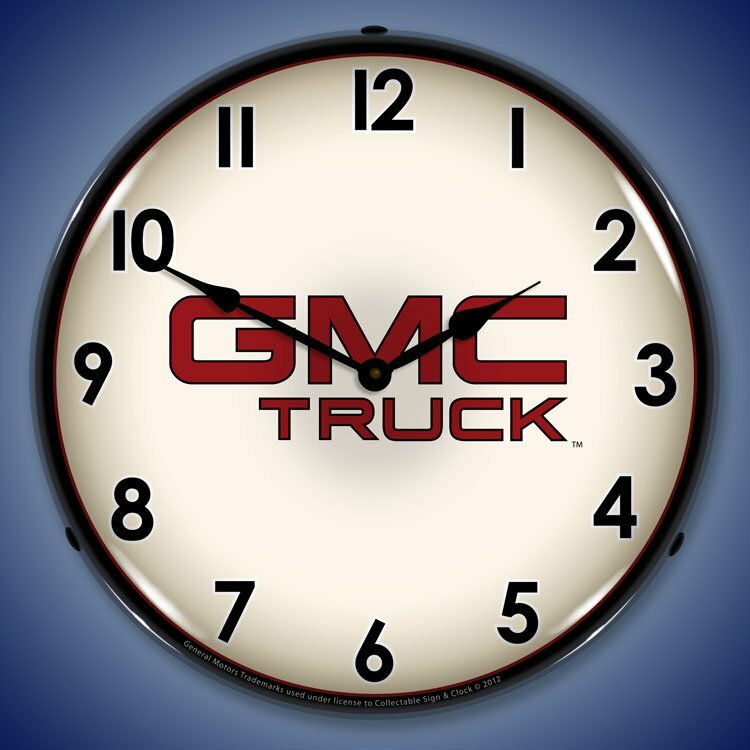 Well known to the true vehicle aficionado. 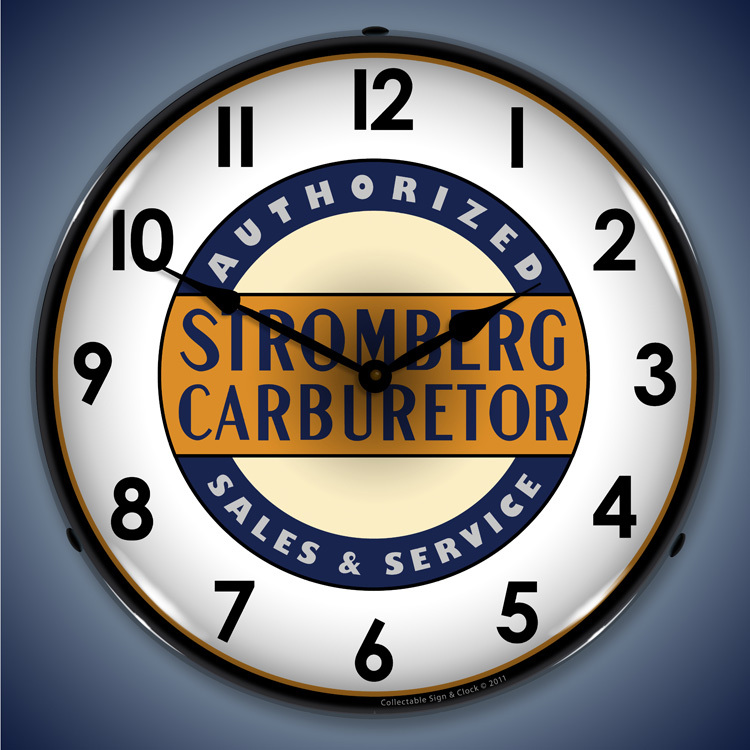 The Stromberg Carburetor. 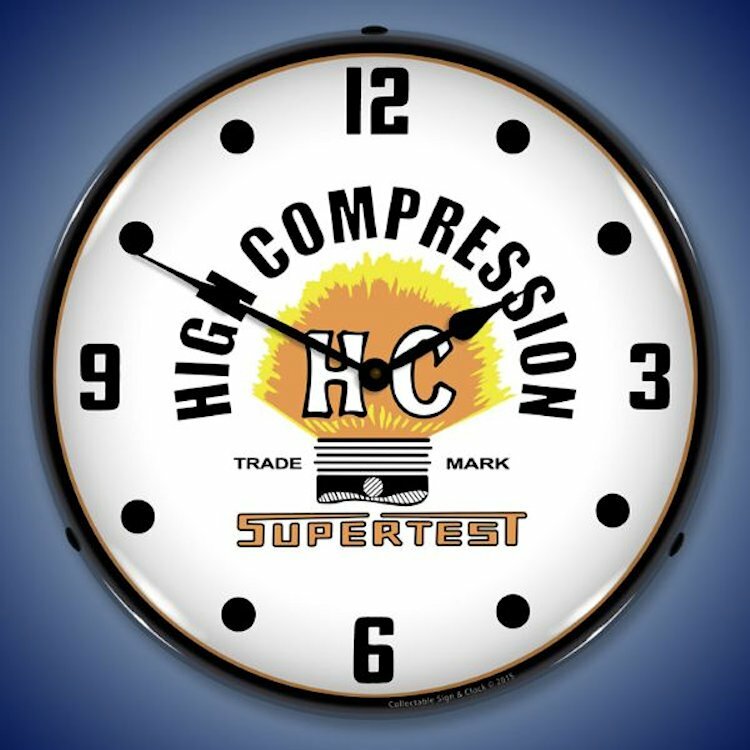 The go-to for the most successful hot rodders. 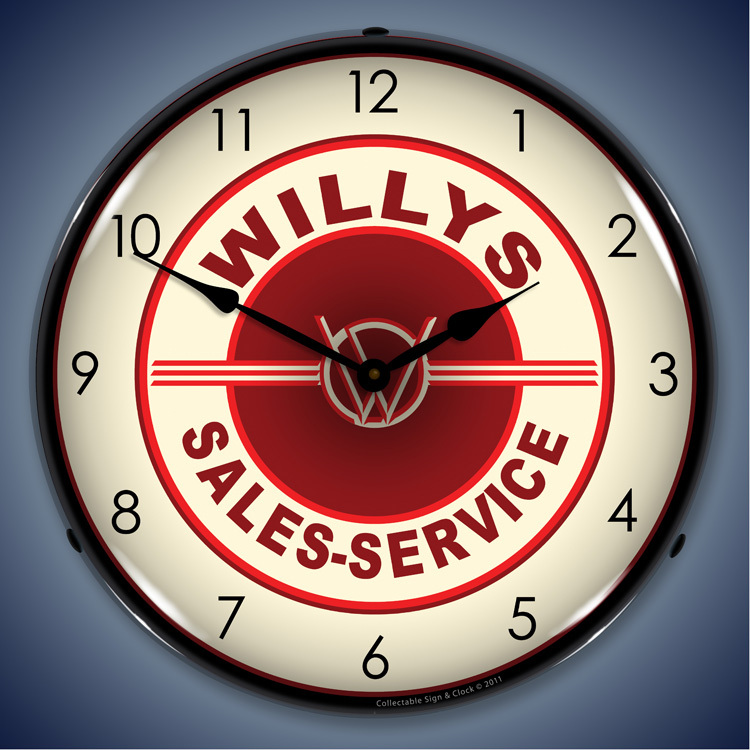 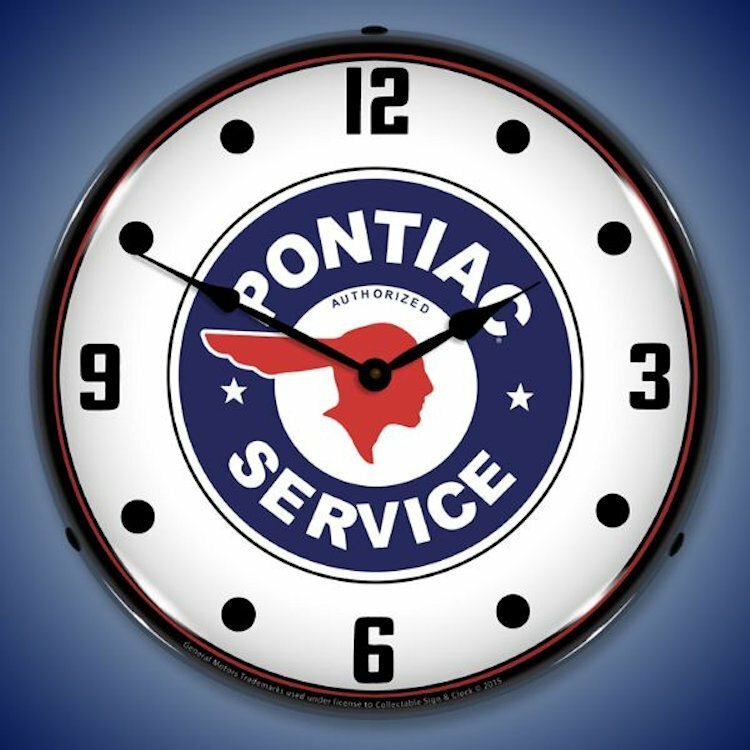 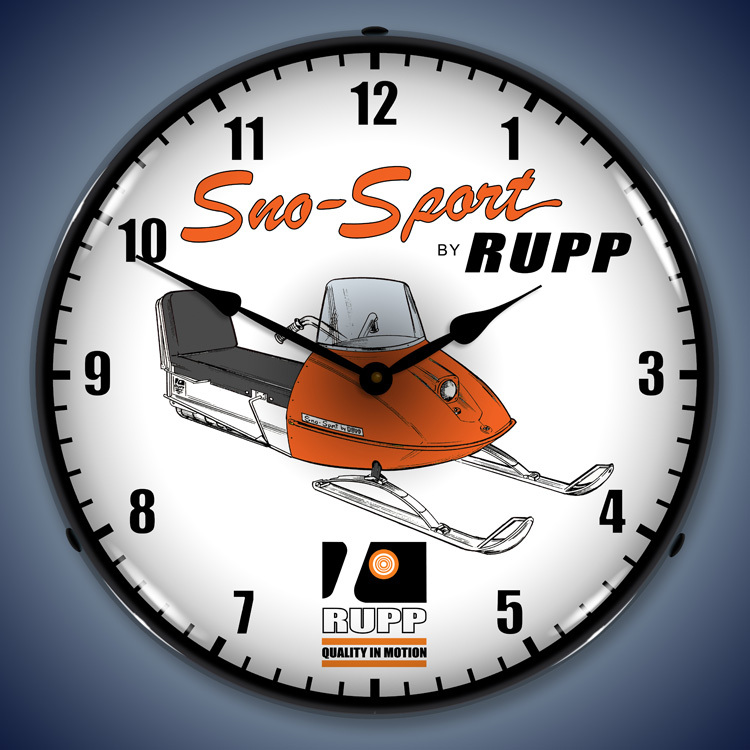 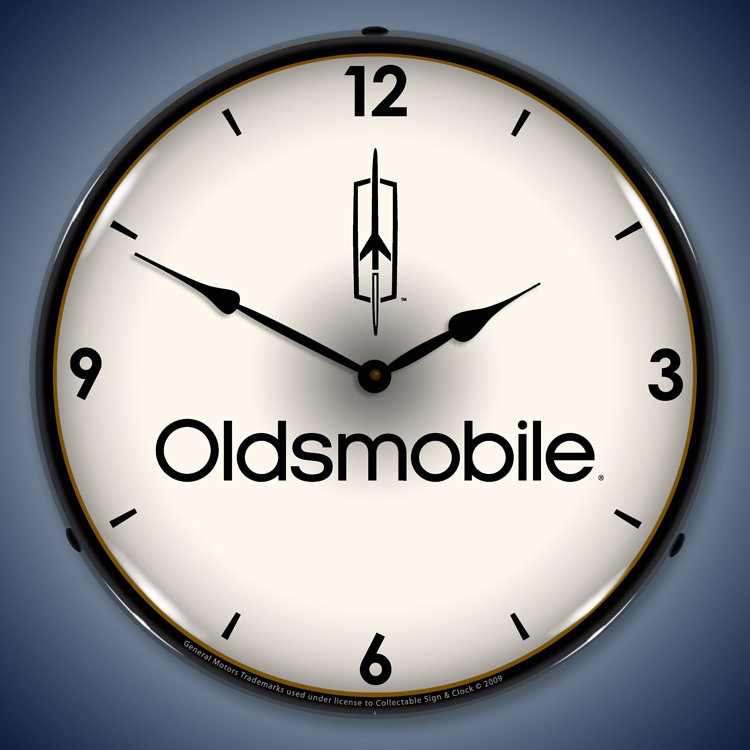 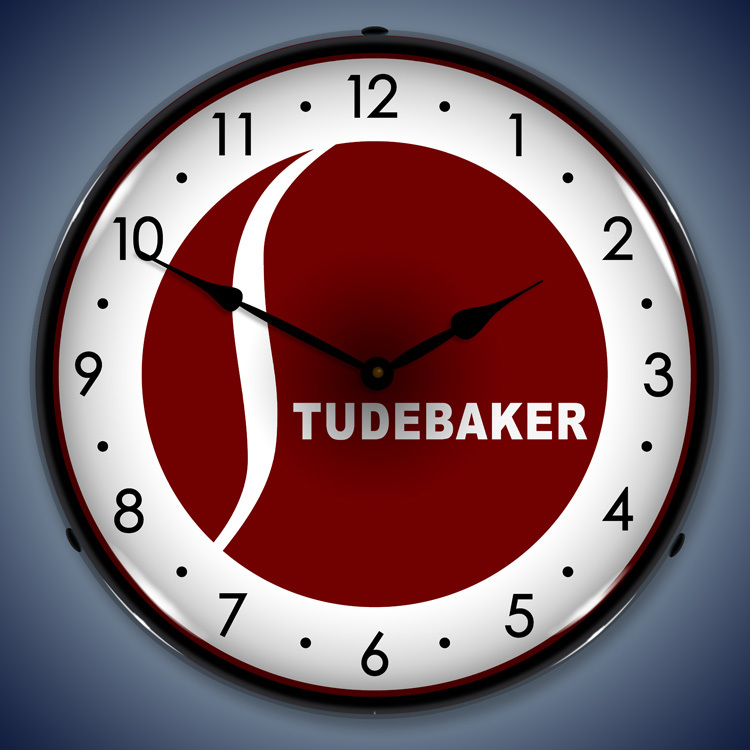 Now you know why we�re all enthusiastic about this collection of parts and service wall clocks. 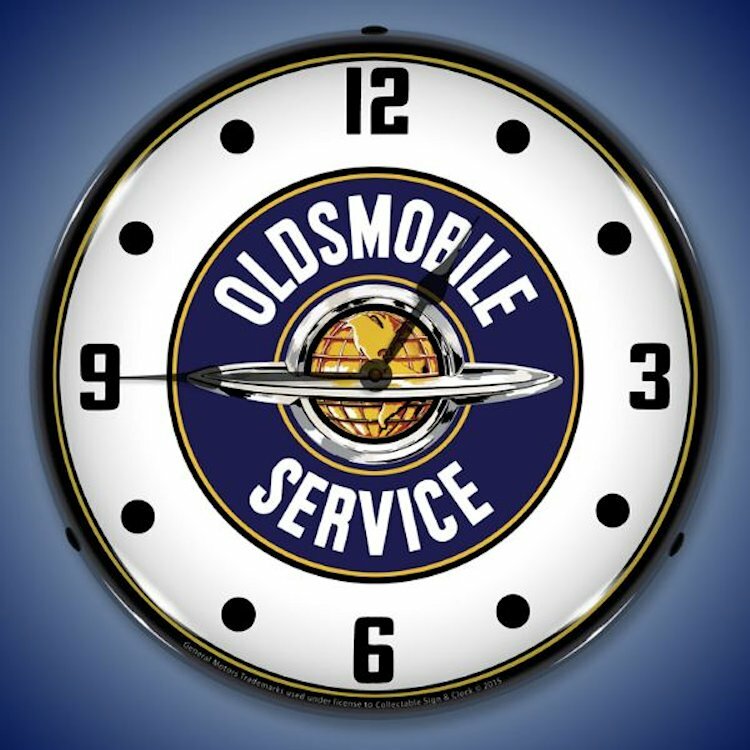 Each one reminds us of the love and detail we�ve gladly put into our cars and the old fashioned service you got when you pulled into a roadside garage and grabbed a bottle of soda/pop from the ice machine. 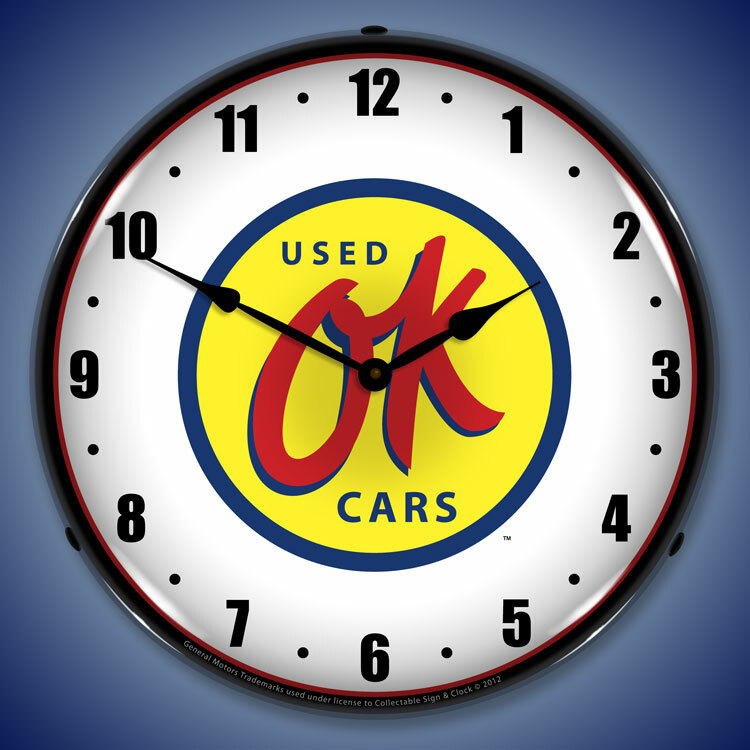 Well, we�re not going to say we lived it. 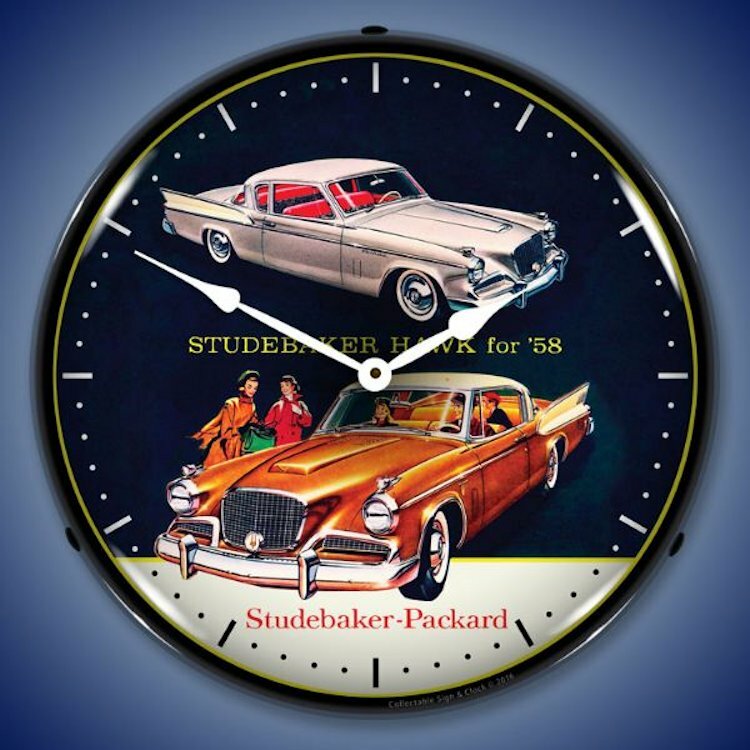 But we can certainly feel it looking at these great images that highlight simpler times. 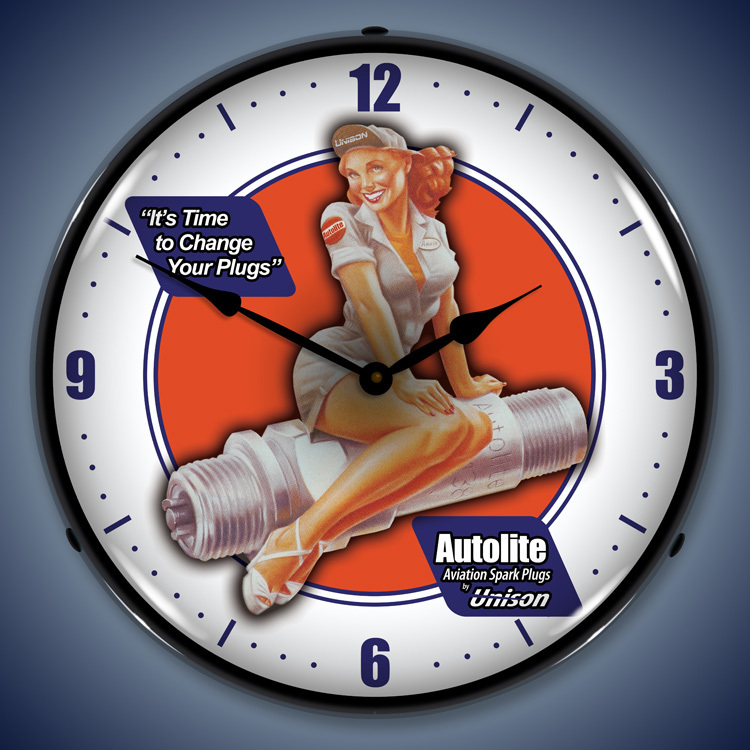 Out of all these clocks, we can say we have particular love for the Autolite Aviation piece. 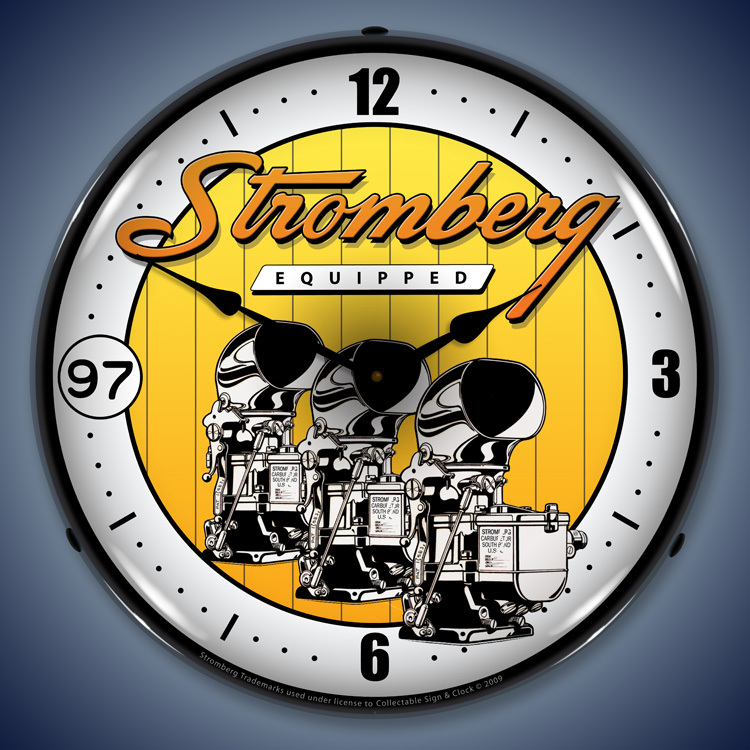 We have an affinity for this type of classic girl-in-shorts-on-oversized-parts that were prevalent once upon a day. 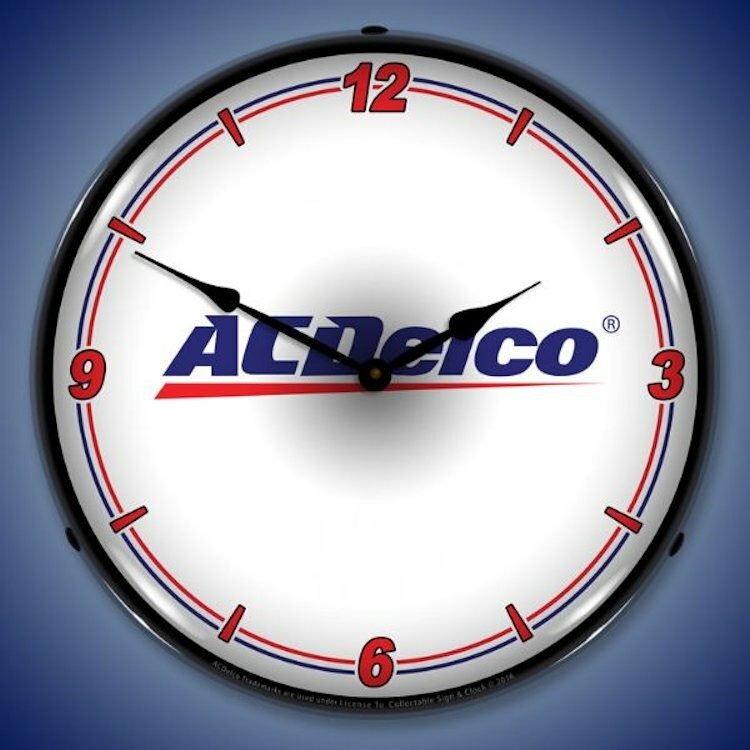 But our affections don�t end there. 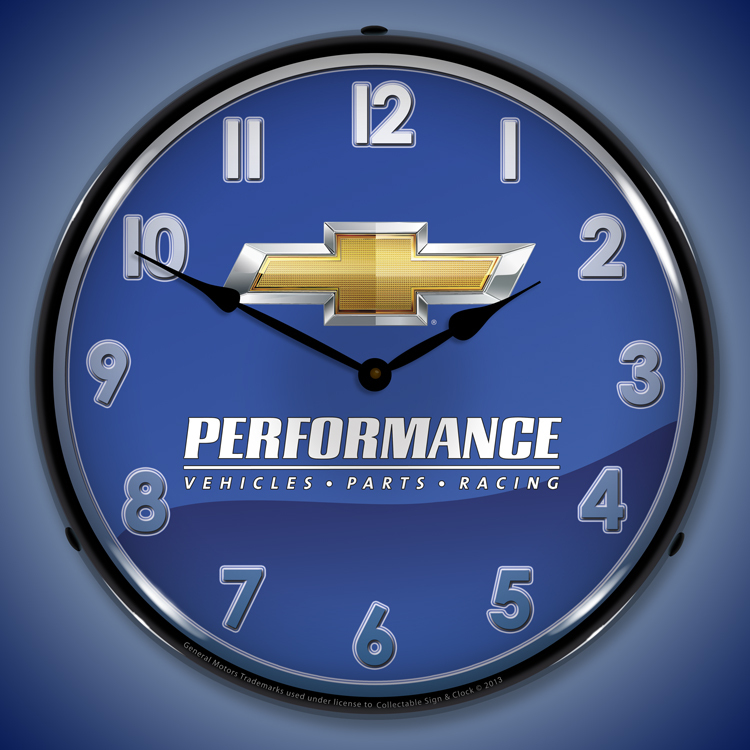 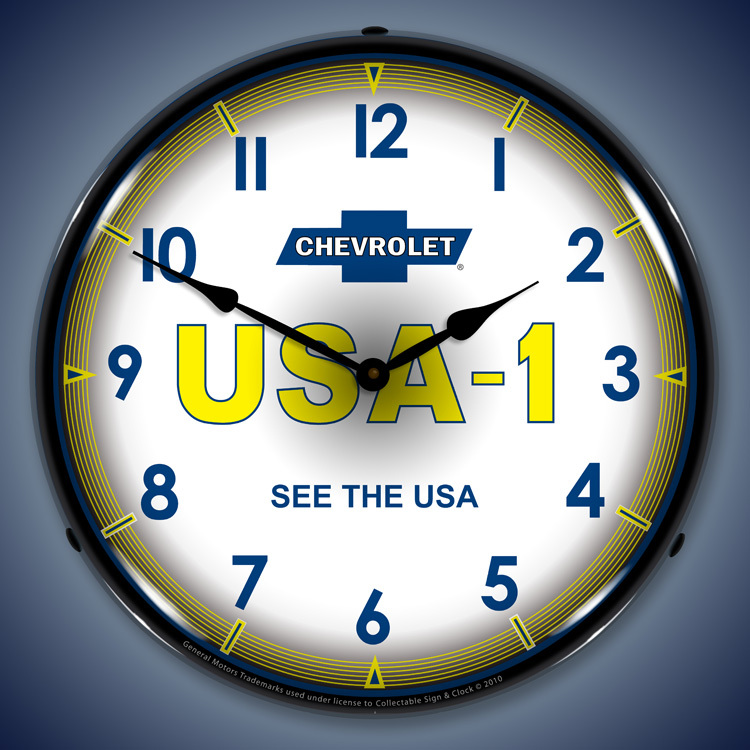 We�re big fans of the Chevrolet Parts and Fram Filters clocks. 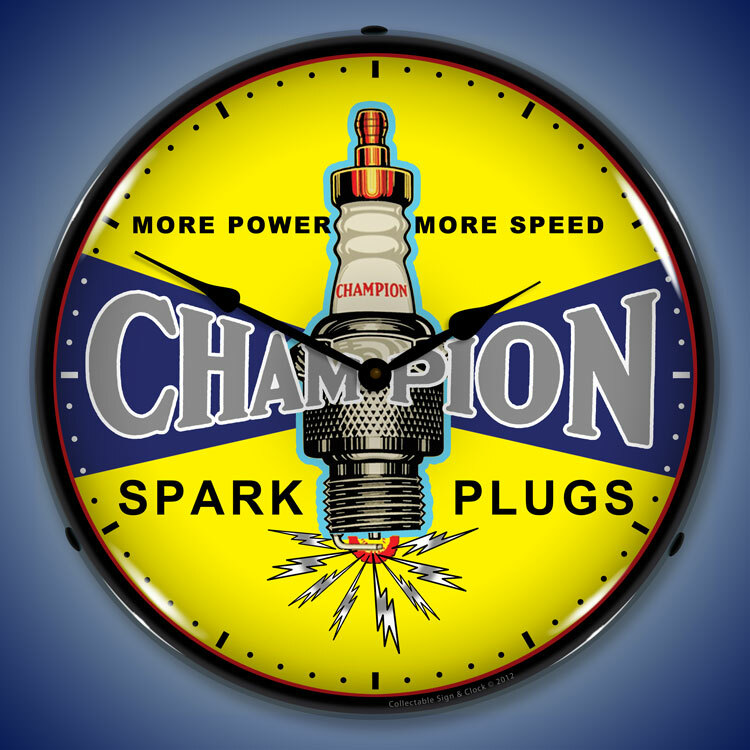 They remind us of many an afternoon in the garage pounding away at our engines while enjoying a cold one. 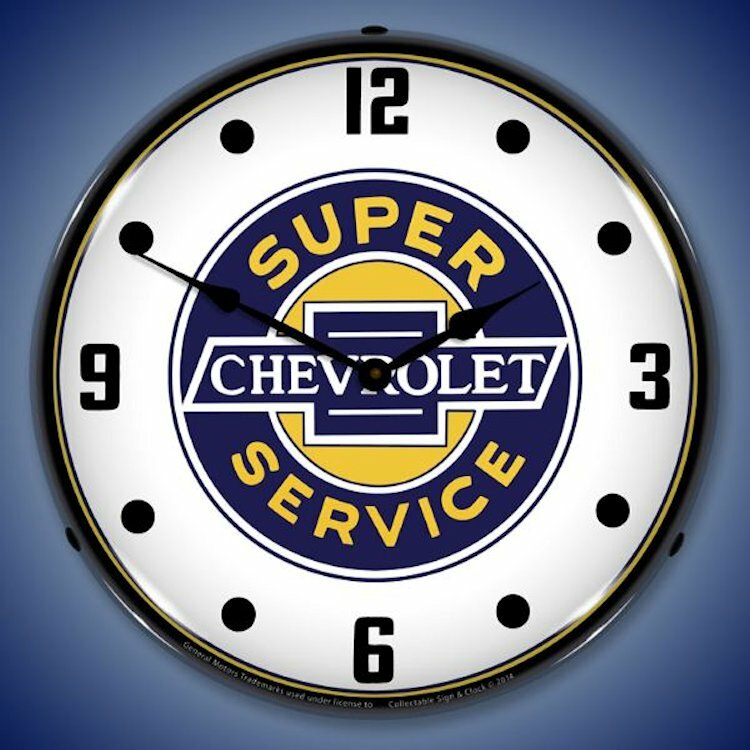 Each of the parts and service clocks were designed by one of the most respected clock makers in the business that specialize in collectible vintage art faces that evoke a simpler time. 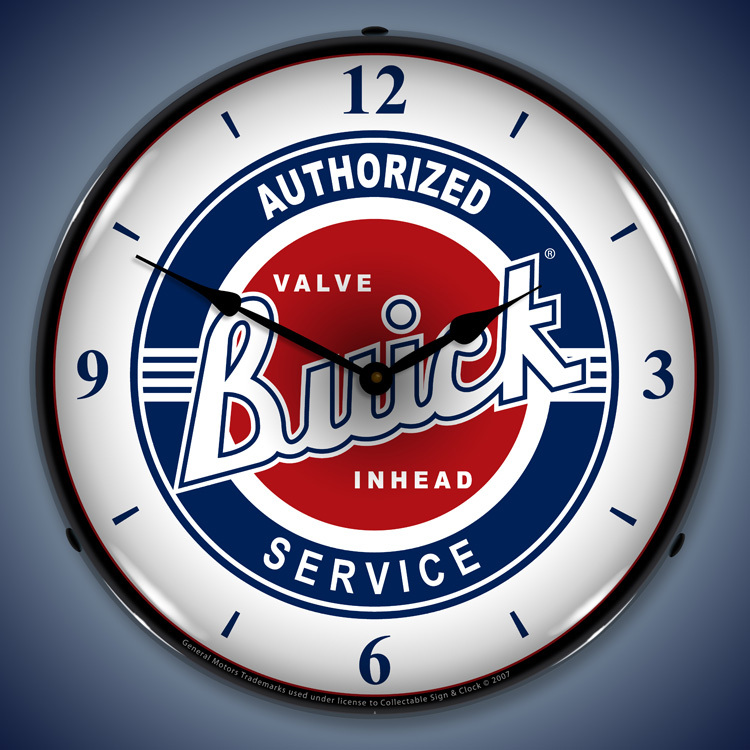 They reproduce the art using a controlled computer printing process that will last for years without fading or yellowing. 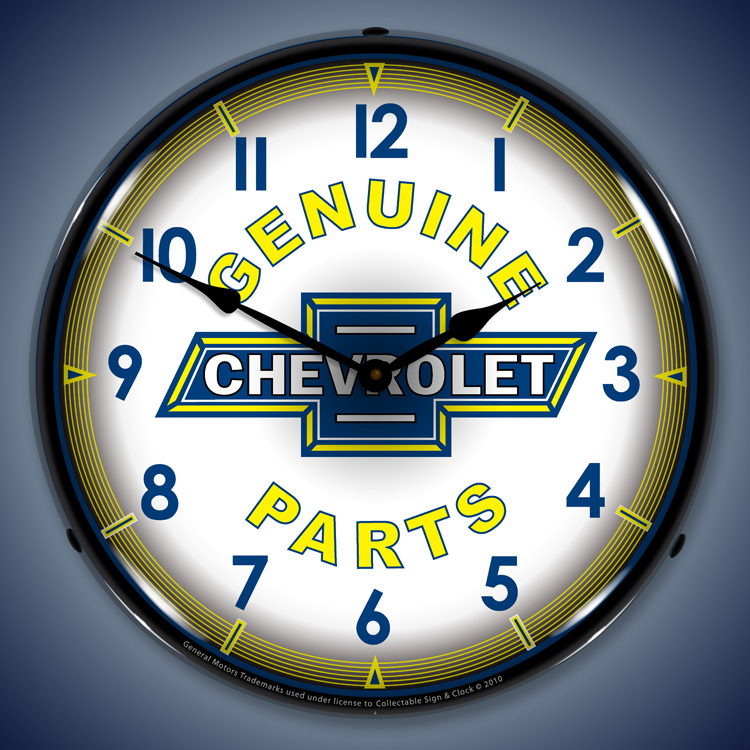 The parts and service clocks come with a fluorescent light that promises to subtly accent the colors. 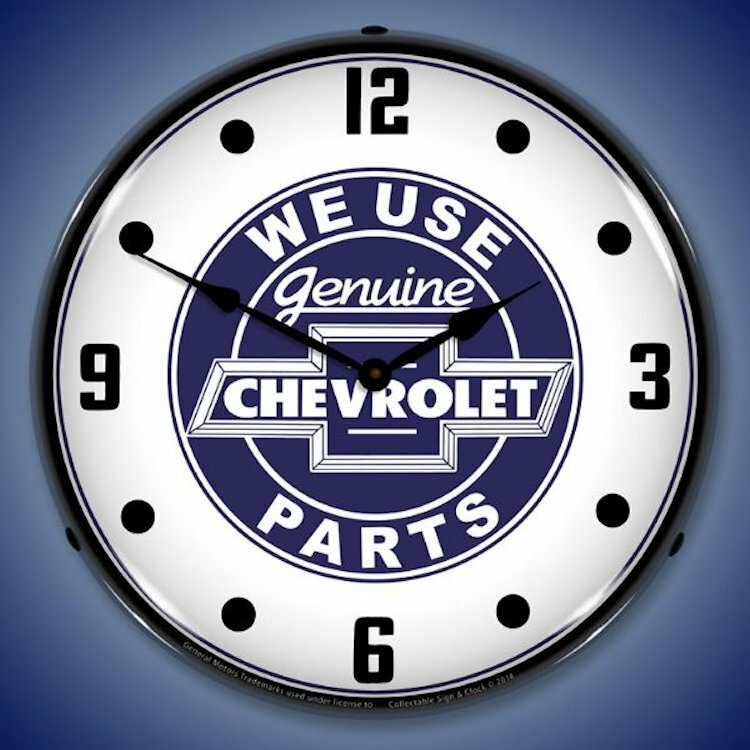 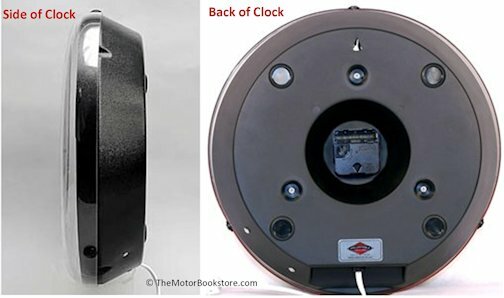 Whether you put this puppy on the wall of your entertainment center, hang it in the office or in your body shop, these clocks will fast become a fixture, reminding you as much about your love for cars as the time of day. 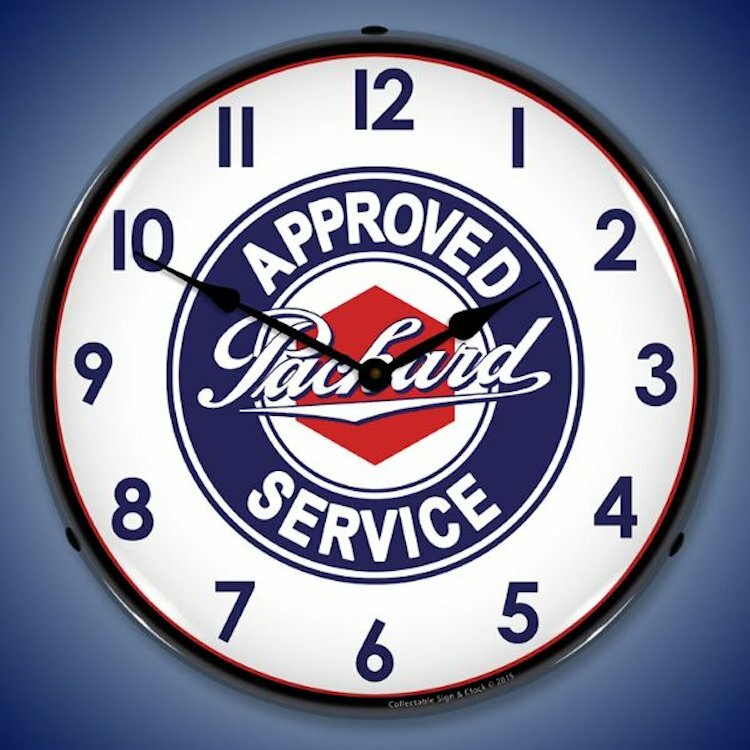 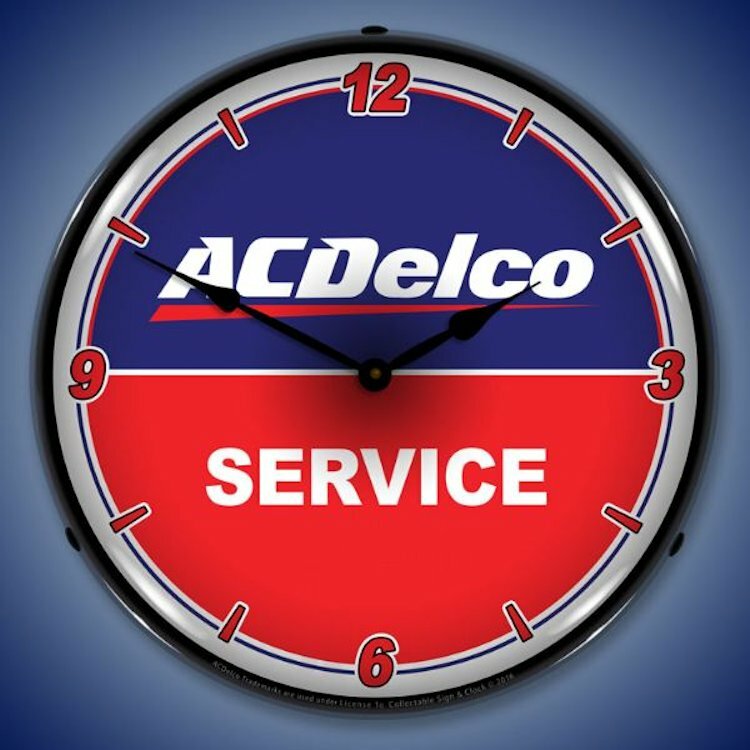 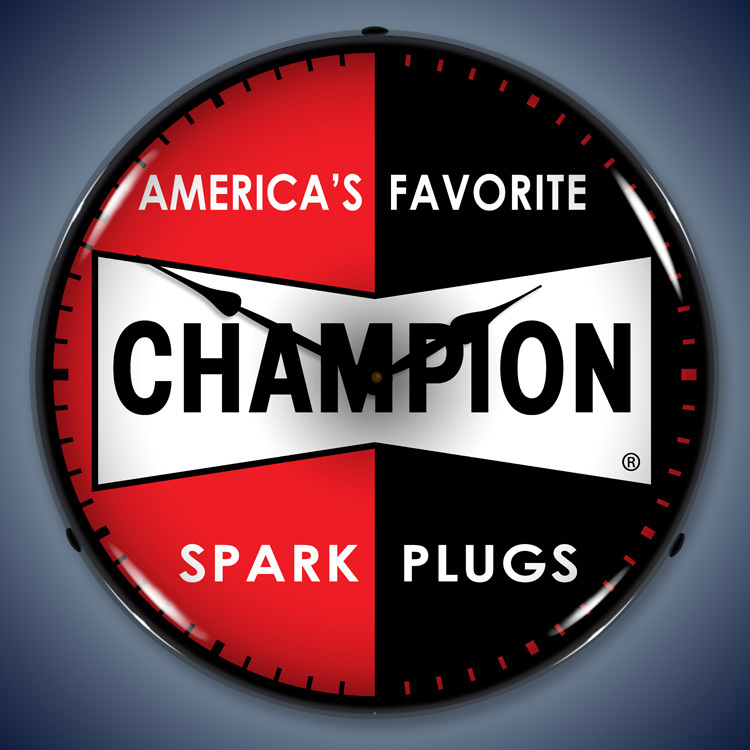 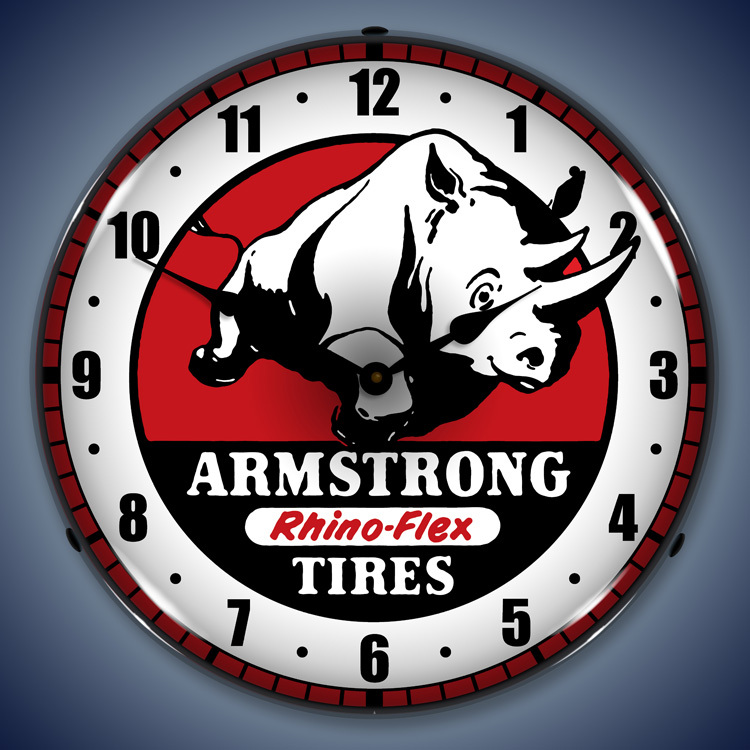 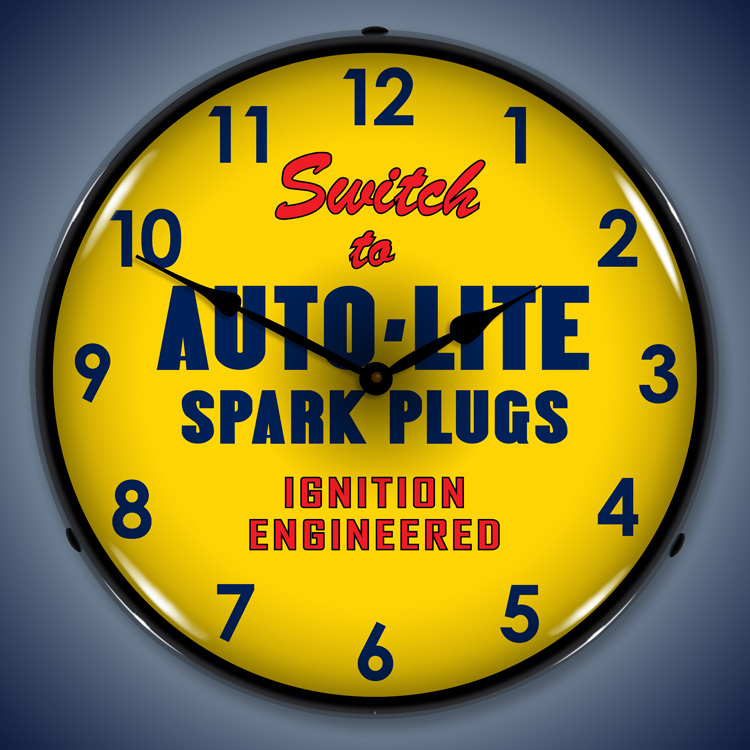 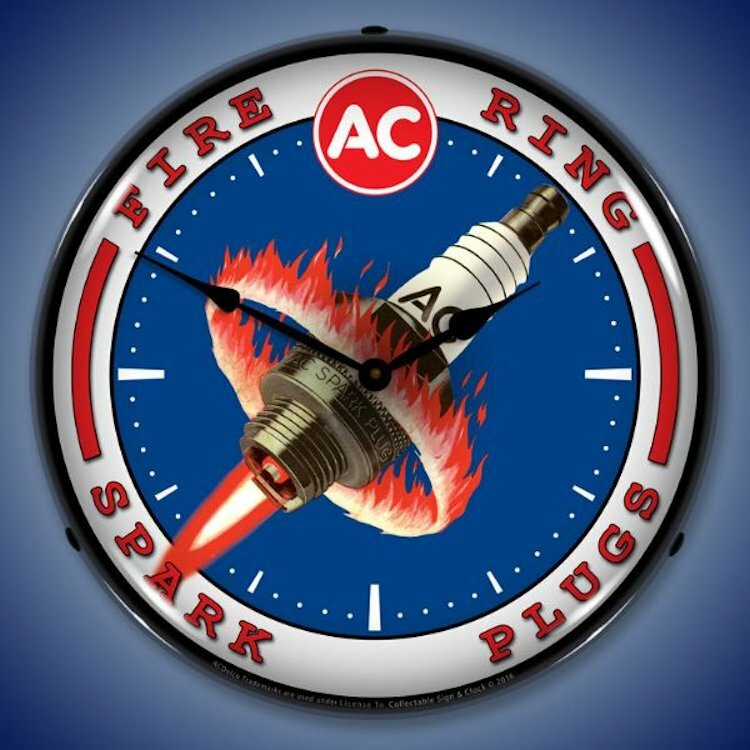 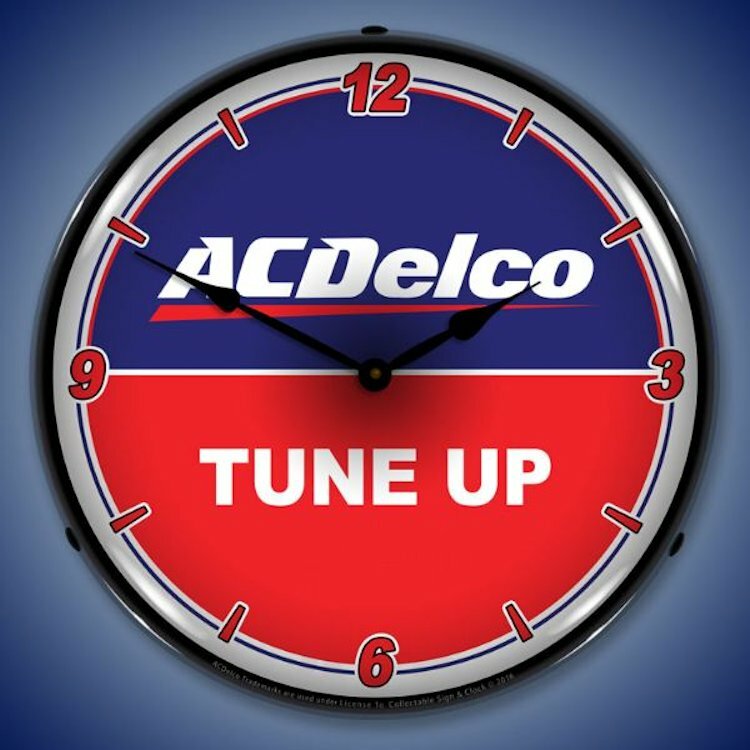 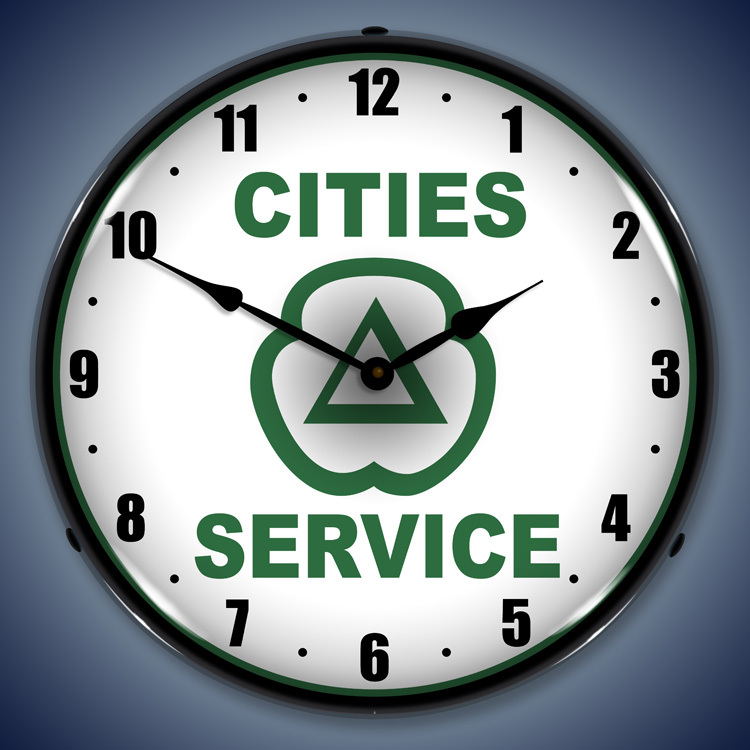 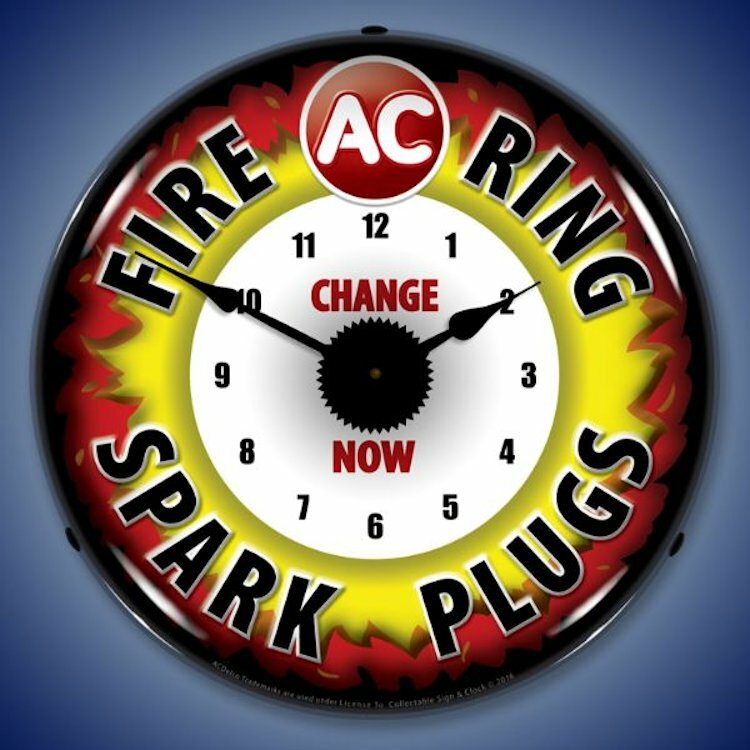 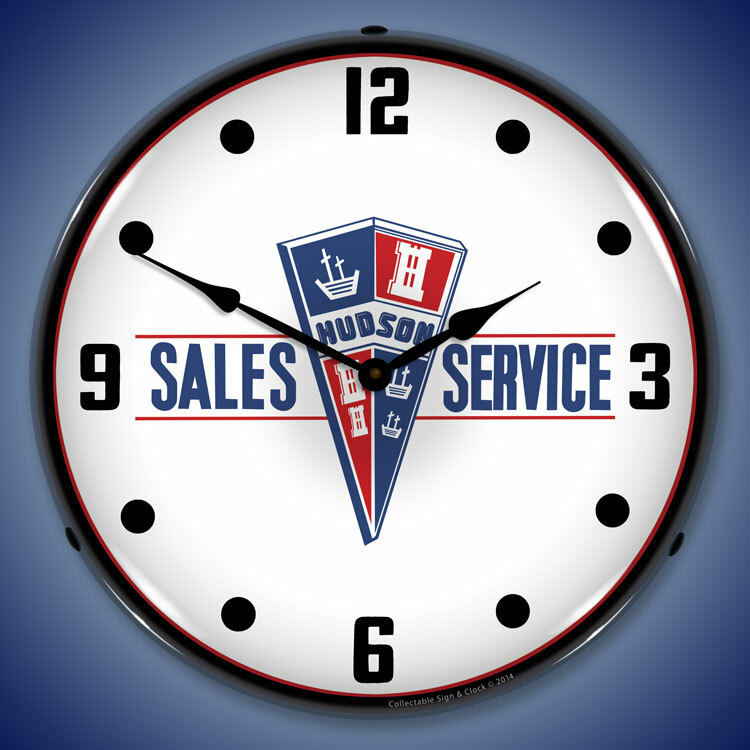 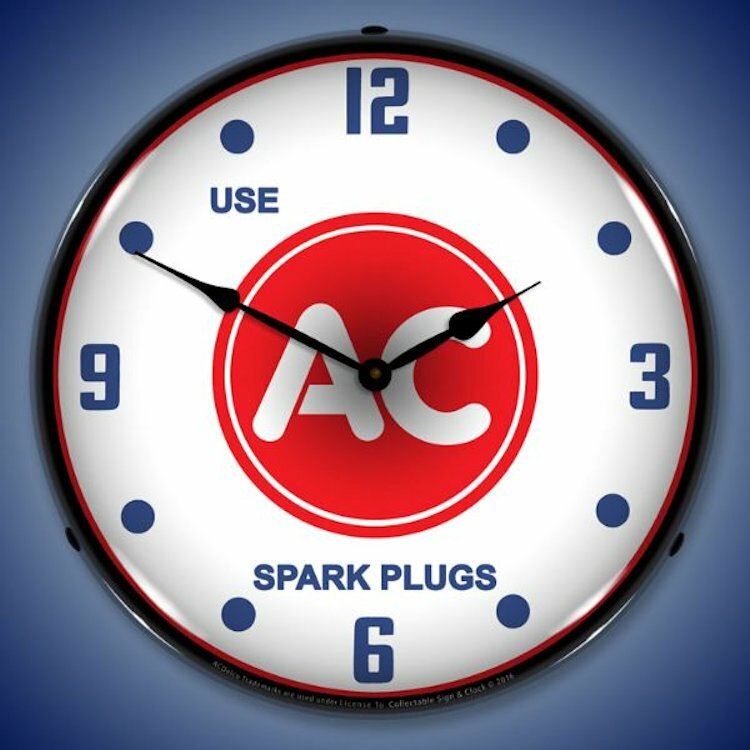 We know you�re going to love these lighted parts and service clocks as much as we do.